ASTANA – Former world middleweight champion Gennady Golovkin (38-1-1, 34 KOs) has parted ways with his promoter, Tom Leffler. Now the Kazakh fighter is a free agent and is negotiating with promoter Eddie Hearn and the DAZN streaming service. The split was announced on Twitter by ESPN television channel insider and expert Dan Rafael. Golovkin had not decided on a new tele-partner by the end of the year, it was announced earlier. “He obviously did not do that. 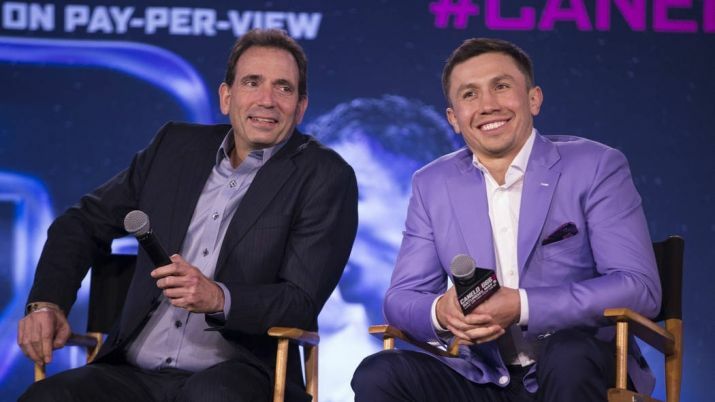 And it was Leffler who said that he would choose a tele-partner before the end of the year, and Golovkin would no longer work with him,” Rafael said. The Los Angeles Times wrote in December that Golovkin might leave Leffler, though the news wasn’t confirmed until now. It was also reported that in the beginning of December, Golovkin met with promoter Eddie Hearn of Matchroom Boxing and John Skipper, a representative of DAZN, in Los Angeles. At this meeting, which lasted four hours, Golovkin was given their proposal for a streaming service and promotion deal. It was also reported that Leffler wasn’t at the meeting. Golovkin and Leffler began their partnership in 2011, when the American promoter was able to get a court to terminate Golovkin’s contract with Universum from Germany. Another contender for Golovkin was Oscar De La Hoya’s Golden Boy Promotions company. At the end of last year, Leffler launched his own promotional company. Since 2012, he spoke on HBO, which next year decided to leave boxing. Golovkin’s last match in his contract with HBO was a rematch with Mexico’s Saul Canelo Alvarez (50-1-2, 34 KOs), in which the Kazakh lost by decision. This was the first loss of his career, and with it went his WBC, WBA (Super) and IBO titles.